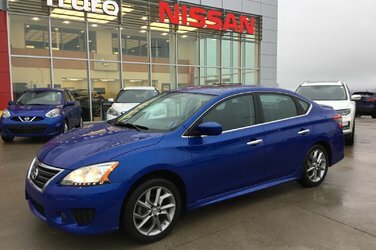 2015 NISSAN SENTRA SR 4cyl Auto, NEW TIRES, Bluetooth, Alloy Wheels, Rear View Camera, Sunroof, Remote Start, Premium Audio, Traction Control, Power Windows, Air Conditioning, Anti-Theft, Anti-Starter, Heated Seats, Climate Control, Keyless Entry, Cruise Control, Power Mirrors, Convenience Lighting Pkg, Power Locks, Anti-Lock Brakes (ABS), Spoiler, Front Wheel Drive, Fog Lights, Power Brakes, Power Steering, Tilt Steering, Child-Safety Locks, Dual Airbag, Trip Computer, Reclining Seats, Tachometer, Trip Odometer, Cloth Interior, Rear Defroster, Courtesy Lights, Cup Holder, Digital Clock, Door Map Pockets and Remote Starter. Lots of Extended Coverage Options Available. 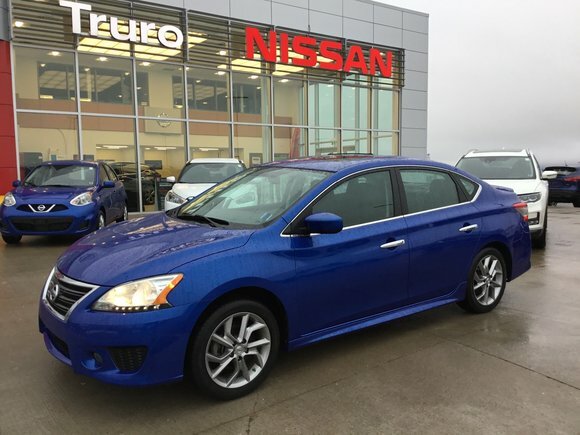 Interested by the 2015 Nissan Sentra SR W/ NEW TIRES EXCELLENT CONDITION?